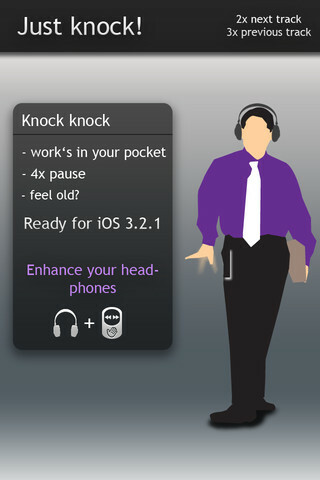 tipSkip is a music player for your iPhone, with an interesting twist. 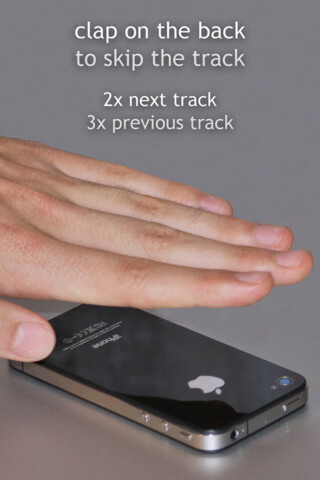 tipSkip lets you control your music playback by tapping your iPhone. You can skip songs, go back to the previous song, pause, etc... just by knocking on the device. It even works if you knock on the table. This could come in very useful when your hands are busy or dirty and you don't want to touch your iPhone/iPad. Just put the device in your pocket or on the table and use your hand or finger/s to knock on your device. 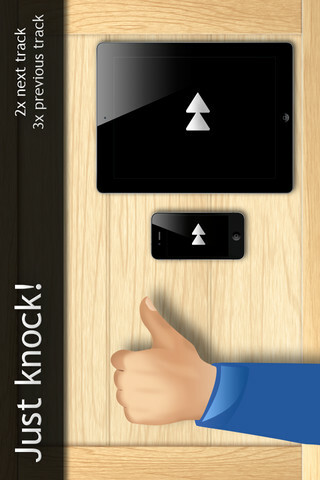 tipSkip lets you control the sensitivity of the knocks so you can set it up to even work properly when you are running. You can also customize the knock actions for 2x,3x and 4x knock (for example you can set it up so that a double knock fast forwards 30 seconds or backwards 90 seconds, etc...). tipSkip is now $0.99 in the AppStore.